Taking place at The Old Truman Brewery in East London’s arts and media hub, the London Design Fair hosted a four day event, bringing together 550 exhibitors from 36 countries. Exhibitors included independent designers, established brands. 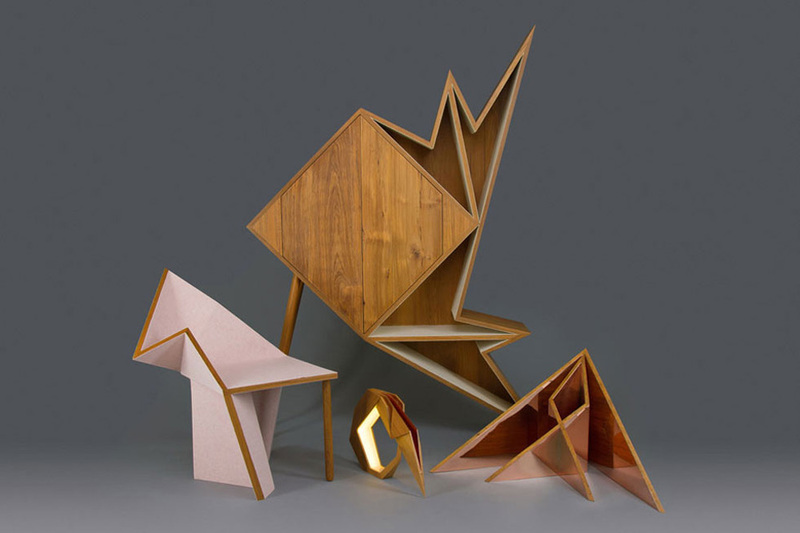 And most notably, eight designers from the UAE who showcased their works under “UAE Design Stories: The Next Generation from the Emirates” national pavilion. 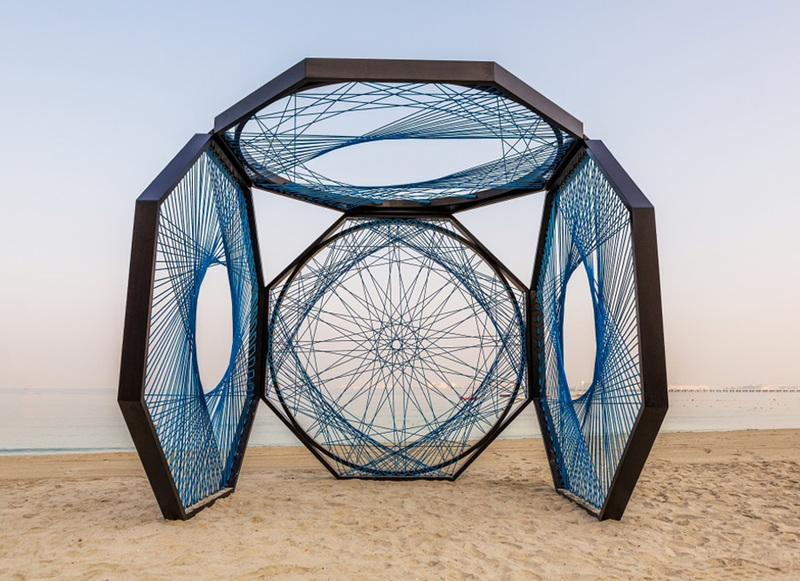 The pieces were originally presented at D3 (Dubai Design District), a buzzing hive for inspiration and innovation and home to the UAE’s emerging designers and artists. 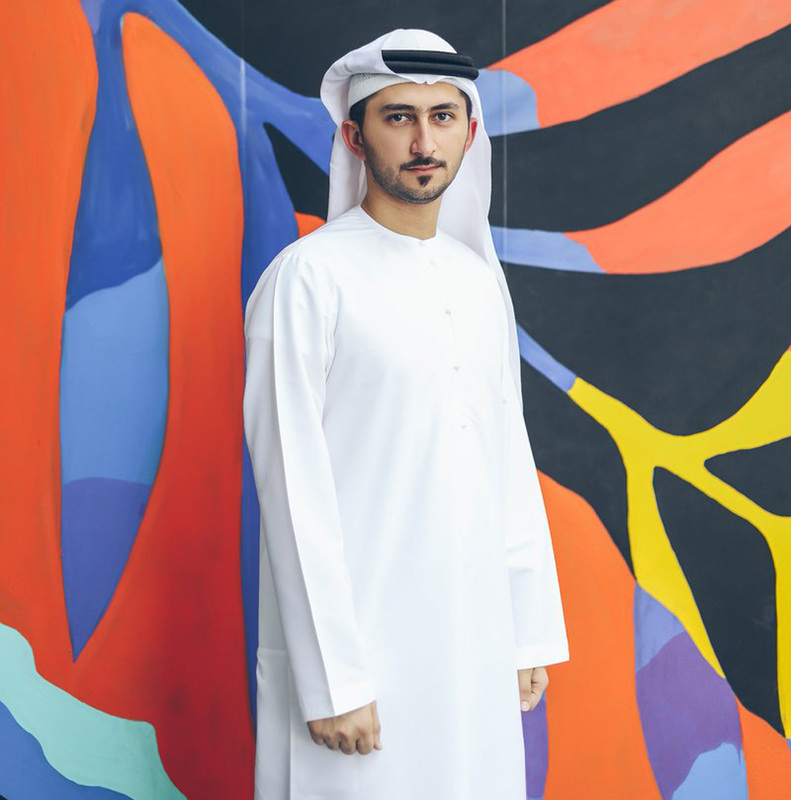 D3 invited designers to partake in an exhibition entitled, “Objects of the Past: Today” which aimed to explore the UAE’s cultural history as inspiration for modern pieces of art and design. Exploring the UAE’s nomadic roots, pieces created for the exhibition were curated by Khalid Shafar and gave viewers an insight to the region’s past in a contemporary way. 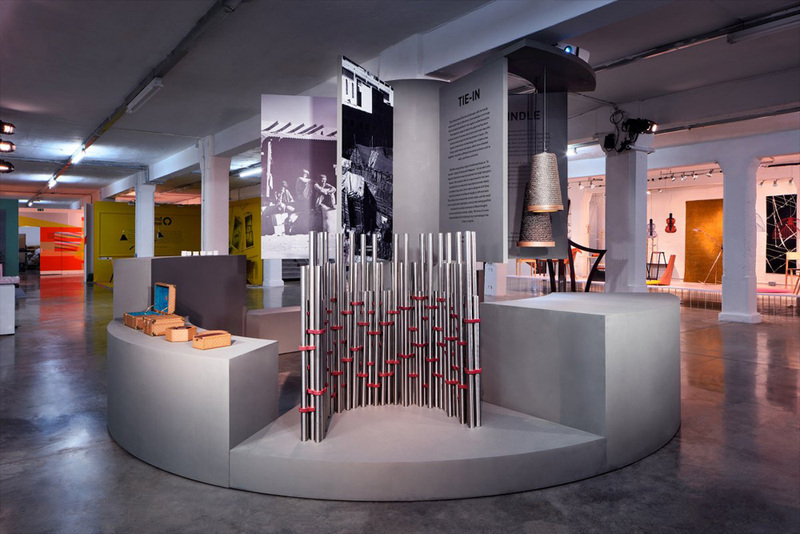 Including jewelry, glassware, leather goods, ceramics, furniture, the designs were exhibited the historical archive materials that inspired them. 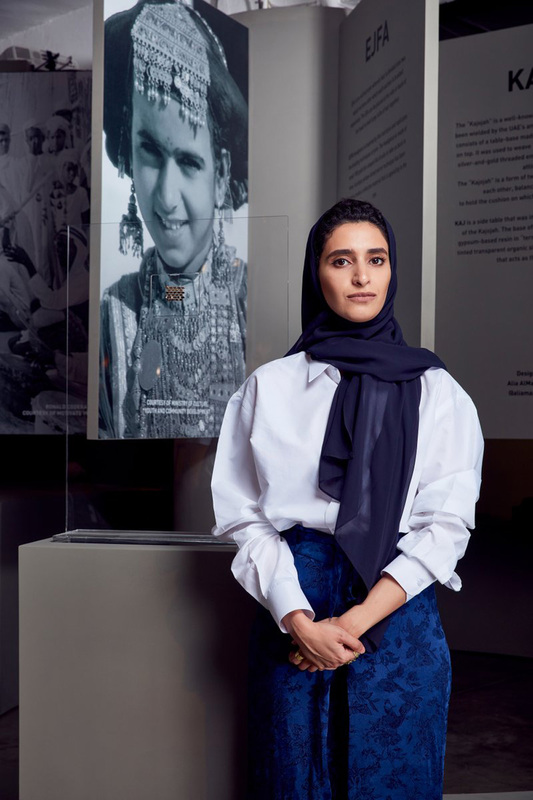 One of the designers, Aljoud Lootah, is the first Emirati designer to have had her work showcased at the National Gallery of Victoria in Melbourne, in Australia. Lootah is known to produce commissioned objects and designs for government organizations and private companies as well as for a number of interior projects. 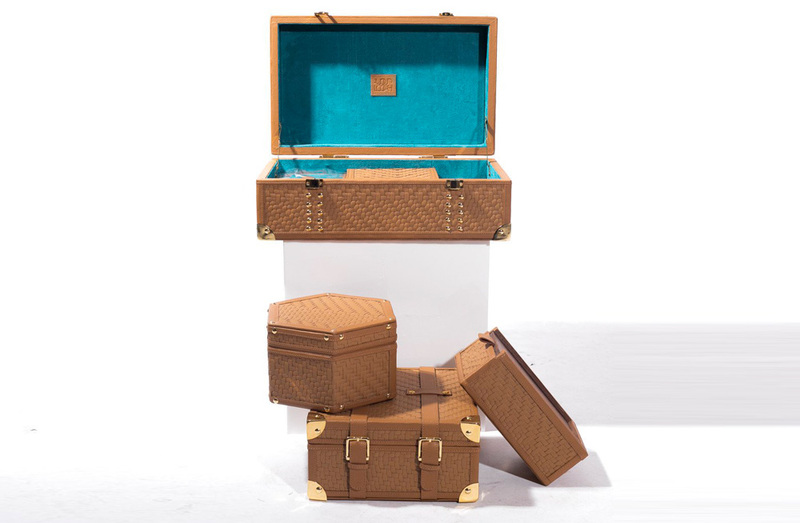 The London Design Fair was a project much closer to home for Aljoud Lootah as she created her “Mandoos” collection which features suede lined, camel leather jewelry boxes inspired by traditional dowry cases whilst also including the customary art of “khoos”, otherwise known as palm-weaving. The creator also wanted to revive the art of “khoos”, which was widely prevalent in the UAE and has now ceased in popularity, “I want to tell the story of our rich history and culture through modern designs,” she said. Another Arab designer showcasing his work as part of the exhibition was Abdalla Almulla, who used steel and a node system to create a design entitled “Tie In”. The piece depicts a system inspired by traditional Arish or palm-frond housing which can be used to make tables or room dividers.